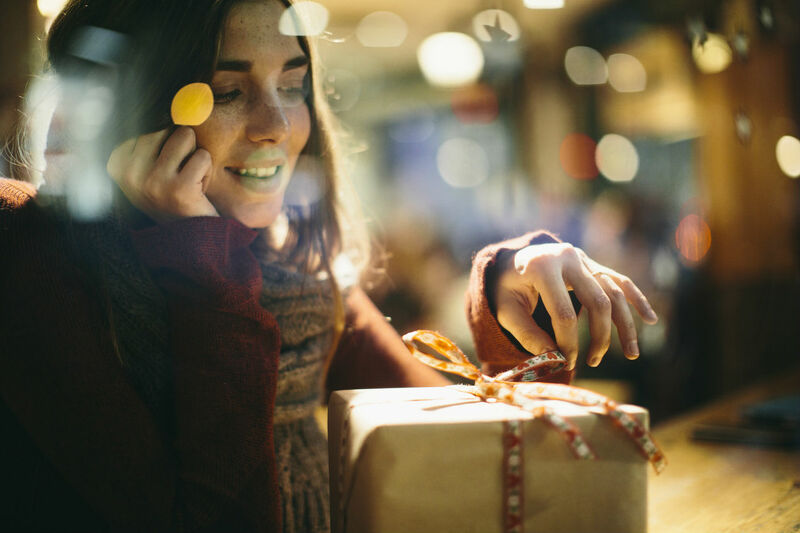 As expensive as photography can be, you might think that a $500 budget for your gift buying this Christmas won't get you much. Whether you're buying for a novice photographer or a professional, there are plenty of excellent photography products and gadgets for less than $500 that will have them smiling from ear to ear. For enthusiast and professional photographers on your holiday list that need a rock-solid travel camera bag, the Vanguard ALTA Fly 62T is a top choice. 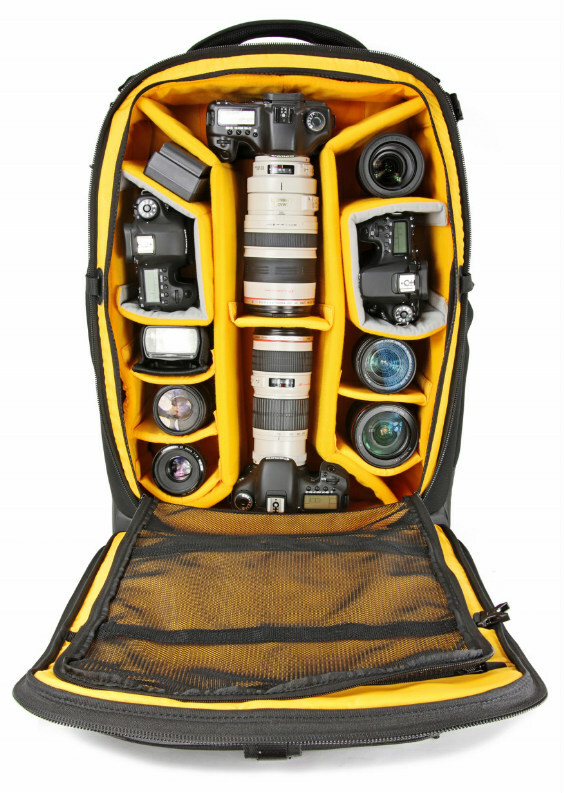 This thing can hold 2-3 DSLRs, 7-11 lenses, camera accessories or a drone, a 17-inch laptop, a tablet, and a tripod. So, in a word, this bag is big! But just because it’s a big bag doesn’t mean it’s hard to handle. With two integrated wheels and an optimal balance tripod carrying system, your favorite photographer can easily maneuver this bag without feeling bogged down. And when they reach their destination, they’ll appreciate the 3 Security Point System that keeps their gear safe from prying hands, as well as the organized layout that keeps all their gear tidy and easy to find. The ALTA Fly 62T even has a removable interior divider compartment so it can be used as a traditional piece of luggage, too. And since it’s priced at $329.99, you’ll have a big chunk of change left over from your $500 budget! Learn more about the Vanguard ALTA Fly 62T Trolley Bag. If you’re looking for a gift that will wow your photography-loving friend or family member this holiday, the LUCA Messenger Bag is definitely worth a look. This bag is handmade in Florence, Italy from the best Tuscany leather. The combination of traditional Italian craftsmanship with modern functionality isn’t just impressive from an ease-of-use standpoint, but it also impressive from a visual point of view as well as this bag is quite eye-catching! The bag is lightweight, yet features tons of space for all manner of photography gear, accommodating a complete large DSLR kit with four lenses or two DSLR kits and two lenses. Heck, it can even accommodate one DSLR kit and one mirrorless kit. That’s excellent versatility for the modern photographer that might have multiple camera systems and want to carry them at the same time. The large organizer in the front is convenient for storing personal items or additional camera accessories. There’s a padded inner pocket dedicated to storing up to a 12-inch laptop or tablet as well. 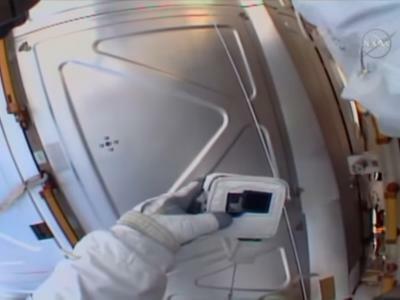 The camera insert is removable so that you can further customize the space inside the bag for larger items should it be needed for use as a personal travel bag. With details like anti-scratch spiral zippers to prevent scratching lenses, a rear trolley attachment for easy transport, and a large carry strap with Ultra Grip padding for a comfortable carrying experience, the LUCA bag is a premier choice that’s well made, highly functional, and a dream to carry! 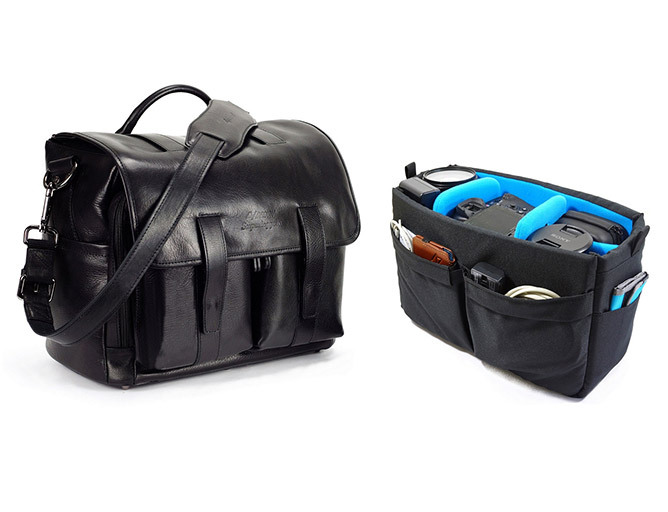 Learn more about the 4V Design LUCA Messenger Bag. A great tripod can become a photographer’s best friend. 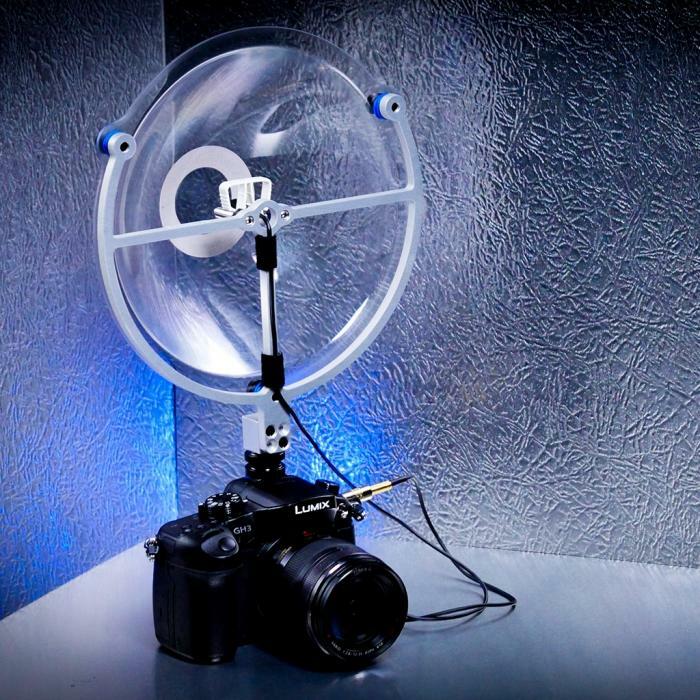 In fact, it’s probably one of the most underrated pieces of gear that photographers use. That’s why a solid, well-built tripod and ball head combination is an ideal holiday gift for the photographer on your list. 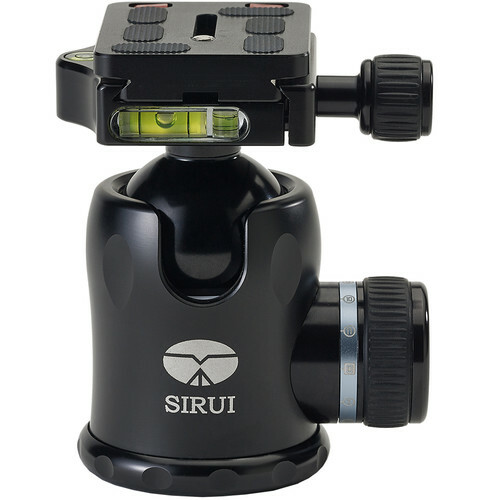 There are few that are on the level of the Sirui W-2204 Tripod and K-30X Ball Head combination. 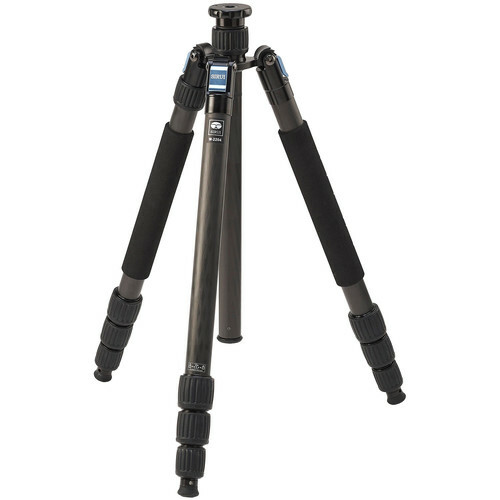 With waterproof legs, ergonomic leg angle logs that allow for quick adjustment, and a split center column that makes swapping between the standard and short columns nice and easy, this tripod is purpose-built for photographers that need to set up and tear down quickly. The W-2204 is made of lightweight, 10-layer carbon fiber, meaning it’s got incredible strength with reduced vibration sensitivity. It can also support nearly 40 pounds of gear! Add to that the K-30X ball head, which has separate control knobs for panning and locking, triple bubble levels to aid in getting level shots, and Sirui’s locking mechanism to keep the head in place, and you’ve got the recipe for one heck of a holiday gift for your favorite photographer. Learn more about the Sirui W-2204 Waterproof Tripod and the Sirui K-30X Ball Head. If you've got a photographer on your list that's into fast-paced, close-quarters photography like street photography or travel photography, the Holdfast Fundy Streetwise Bag is a rock-solid gift idea. This bag allows photographers to keep their gear close by, but does so in a way that's discreet without sacrificing the ability to get into the bag, grab gear, and take a quick shot. It can be used as a standalone shoulder bag, or it can be paired with Holdfast's MoneyMaker for an even more flexible carrying experience. 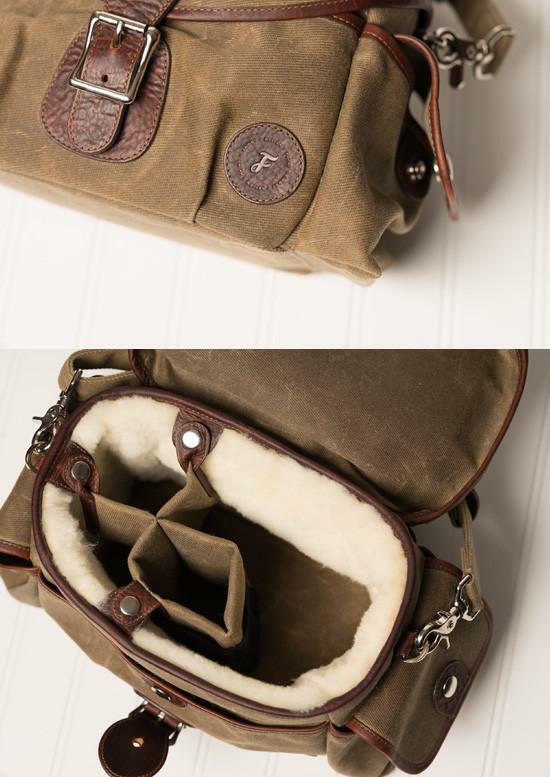 The Fundy Streetwise bag has a gorgeous sheepskin interior that keeps gear safe while its waxed canvas exterior offers excellent weather resistance in case the weather turns south. It has smart features like a removable false bottom for keeping valuables out of sight and a removable insert so it can accommodate various types of gear. In a word, this bag is awesome! Learn more about the Holdfast Fundy Streetwise Camera Bag. If you’re looking for a beautiful gift for the photography enthusiast in your life, an HD Metal Print by Artbeat Studios is tough to beat. 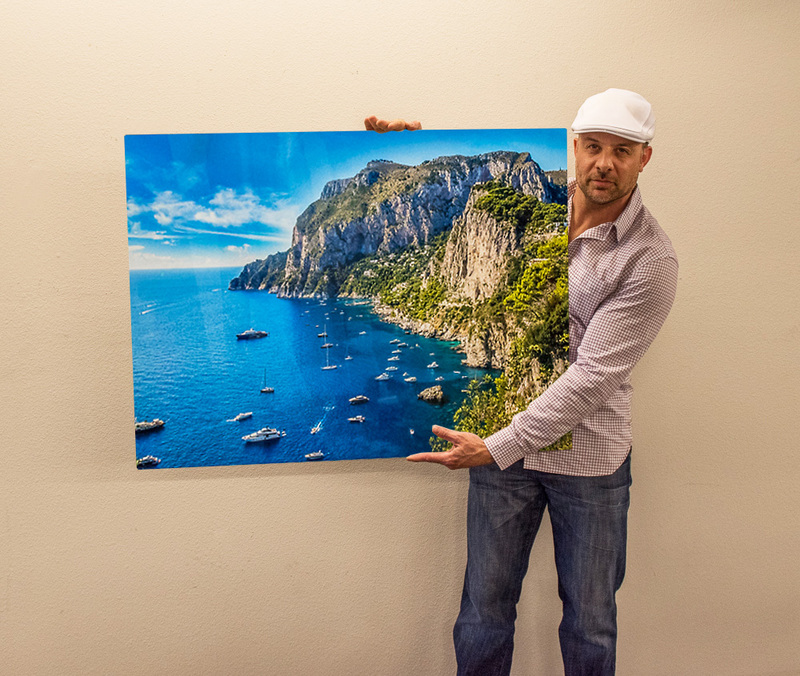 These large-format metal prints have incredible colors that make the image pop, giving it life and vitality that’s eye-catching in a way that’s hard for more traditional prints to pull off. Not only that, by heat infusing the photo into a ChomaluxeTM aluminum sheet, you get a scratch-resistant, water-resistant, and UV-resistant print that will retain its gorgeous look for generations. With a wide variety of metal surfaces and finishes, as well as different wall mount and wall hanger options to tailor the print to your needs and tastes, an HD Metal Print is the custom holiday gift you’ve been looking for, all for a price of $499! Learn more about the Artbeat Studios 36x48 HD Metal Print. 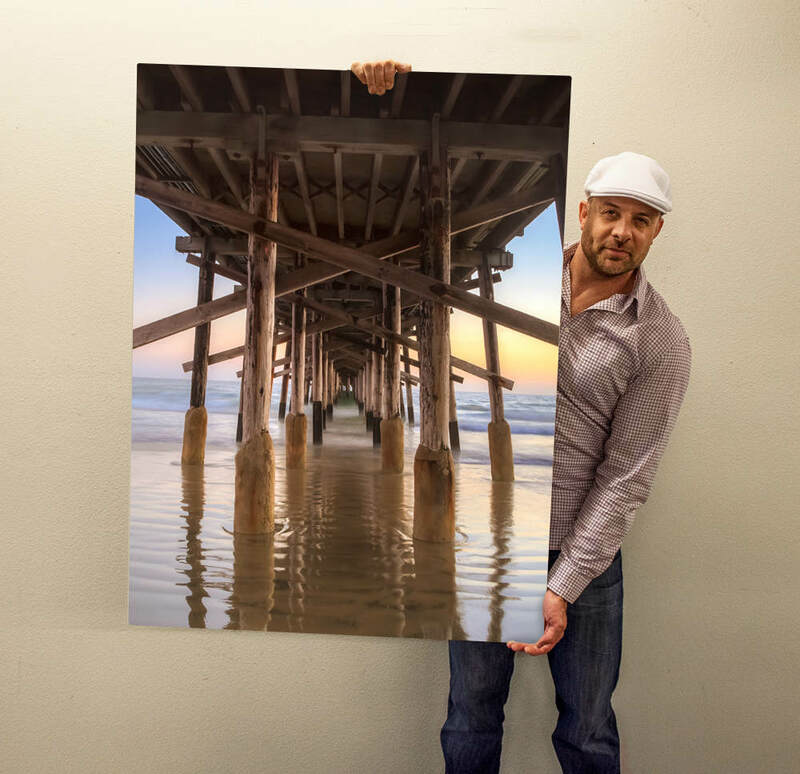 If you want to give your loved one a gorgeous metal print for the holidays, but want something that’s not too small or not too big, a 30x40 HD Metal Print from Artbeat Studios is a fantastic option. Printing on metal is ideal for just about any kind of photo, but landscapes in particular. As seen above, the specialized printing process that Artbeat Studios uses to print on metal results in spectacular colors and contrast. That’s thanks in part to the different surfaces on which you can have the image printed - white and silver. A white surface gives the image a vividness that enhances the detail of the shot, making every nook and cranny beautifully visible. That makes it a great choice for portraits and landscapes. But if you prefer, you can opt for a silver surface instead, which makes any whites in the image appear silver. That makes it a perfect choice for black and white photos or images that have a lot of contrast. You can choose between a glossy or matte finish, wood or metal wall mounts, a wire hanger or a cleat hanger, and so much more. It’s a totally custom gift that your loved ones are sure to love, and it won’t break the bank at just $345! Learn more about the Artbeat Studios 30x40 HD Metal Print. Today's cameras certainly have excellent photographic capabilities, but more and more of them have excellent video capabilities as well, including 4K video. But there's not much point in being able to take incredibly sharp and detailed video if you catch match it with sharp, detailed sound, right? That's why Sound Shark should be on your holiday gift list. Sound Shark picks up voices in crystal clear beauty, making speakers sound as though they've got a lapel mic on, even when they don't. In fact, the videographer on your holiday list will be blown away by how much less noise from the sides and the background they get with Sound Shark as compared to a traditional shotgun mic. That's because Klover Products, which makes sound shark, is the leading supplier of long-range microphones used to televise sporting events. If their parabolic mic is good enough for the World Series, the Super Bowl, and the NBA Playoffs, it'll be good enough for your favorite videographer, too! Learn more about Sound Shark. The 8mm and Super 8 film formats that were so popular decades ago means a lot of us have precious family movies that are just sitting in boxes, rotting away and degrading with every passing day. 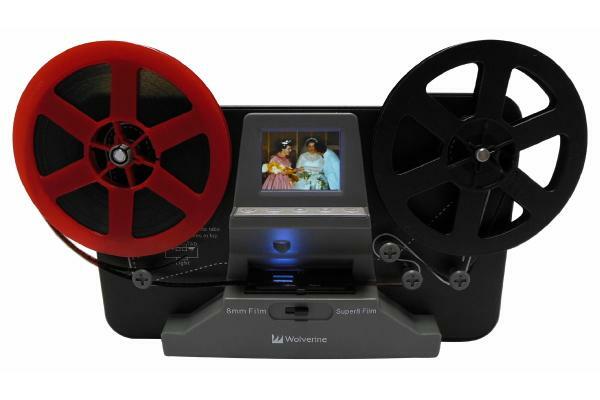 Rather than letting those memories fade away, get your loved one the gift of saving those old family videos with the Wolverine Data 8mm and Super 8 Movie Reels to Digital MovieMaker. This device converts your old movies into digital files (without sound) so that you can preserve your family’s heritage for generations to come. It only takes a few simple steps, too! Just mount the 3 or 5-inch movie reel to the machine, insert a memory card, press a few buttons, and the MovieMaker will scan the film frame-by-frame as it plays. The result is a digital MP4 movie that you can burn to a DVD, upload to YouTube, watch on your laptop, or even edit in a movie editing program or connect it to your TV to immediately watch the digitized videos. The Digital MovieMaker is a standalone device, too - you don’t need a computer or any software at all. And considering that photo labs charge a hefty price to convert film to digital, this gadget will more than pay for itself! Learn more about the Wolverine Data 8mm and Super 8 Movie Reels to Digital MovieMaker. 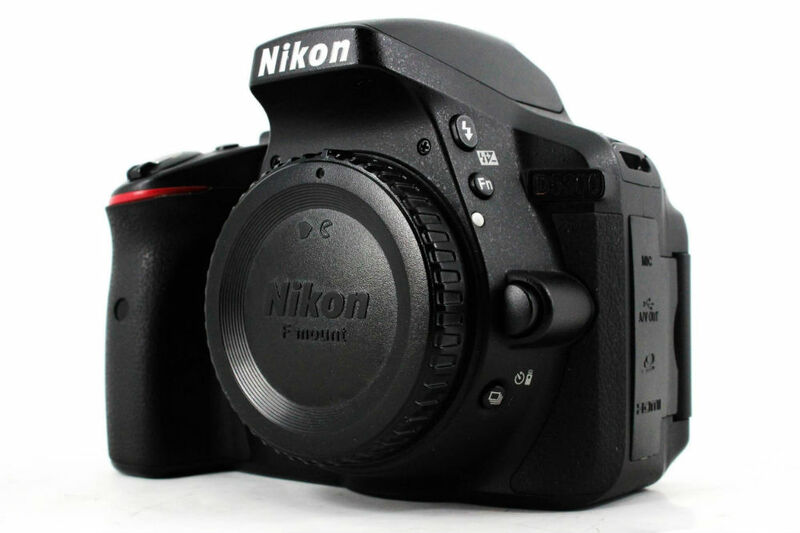 If you have a loved one that’s a burgeoning photographer, a great camera to get them started is the Nikon D5300. This camera is small, lightweight, yet packed with powerful features that make it a great learner’s camera, but one that they won’t outgrow quickly, either. 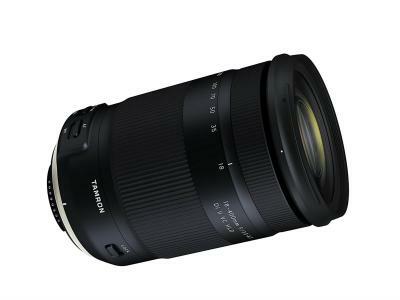 It’s got a sizable 24-megapixel APS-C CMOS sensor for high-resolution images, an ISO range to 12800 for low-light shooting, a maximum shutter speed of 1/4000 seconds to capture fast action, and a sophisticated 39-point autofocus system that will help your loved one capture their subjects in sharp focus. Add in 1080p video recording, 5fps burst shooting capabilities, and a price tag on pre-owned rigs under $500, and you have the makings for one great gift this holiday season that won’t break your budget, either! Learn more about the Nikon D5300. Time-lapse photography and filmmaking is a tough gig, but having high-quality gear that’s easy to transport will certainly be on your favorite photographer’s wish list this holiday season. The Magic Carpet Carbon Fibre by Syrp doesn’t just look cool - it’s incredibly functional, too. It’s extendable to virtually any length you can imagine but packs away in two-foot sections for easy storage and transport. For gorgeous long tracking shots, just attach additional interlocking extension sections for a seamless, smooth shot no matter how long the track is. Perhaps the best part is that since it’s made of carbon fiber, the Magic Carpet is featherlight. In fact, the center track weighs a mere 1.48 pounds and each extension section adds just .84 pounds. It’s even tripod mountable for additional stability! That makes this rig a perfect choice for photographers and filmmakers that need a lot of bang for the buck, but without sacrificing on weight and ease of use. 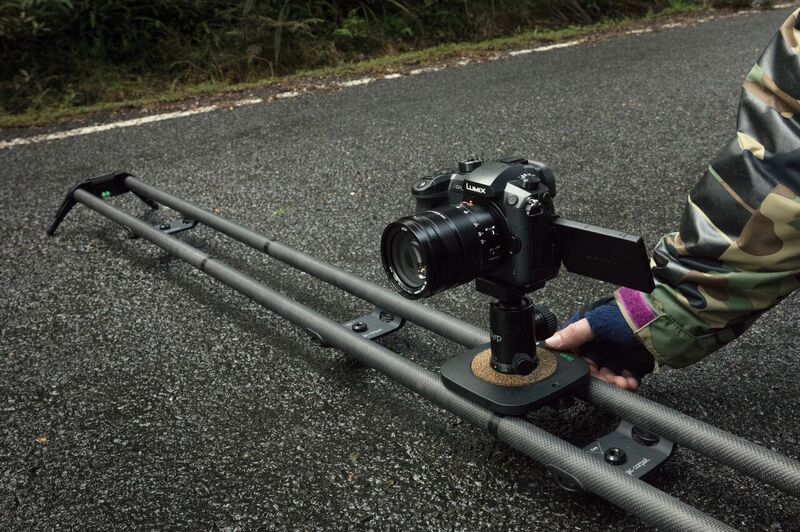 Learn more about the Syrp Magic Carpet Carbon Fibre.